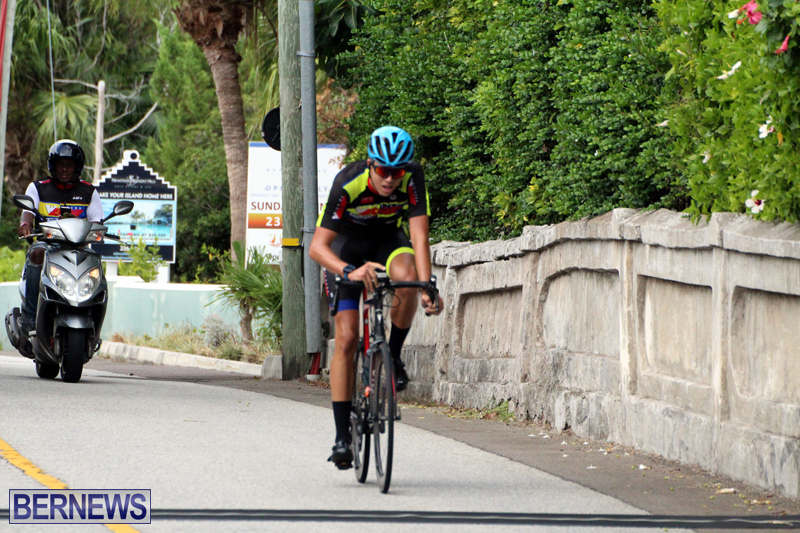 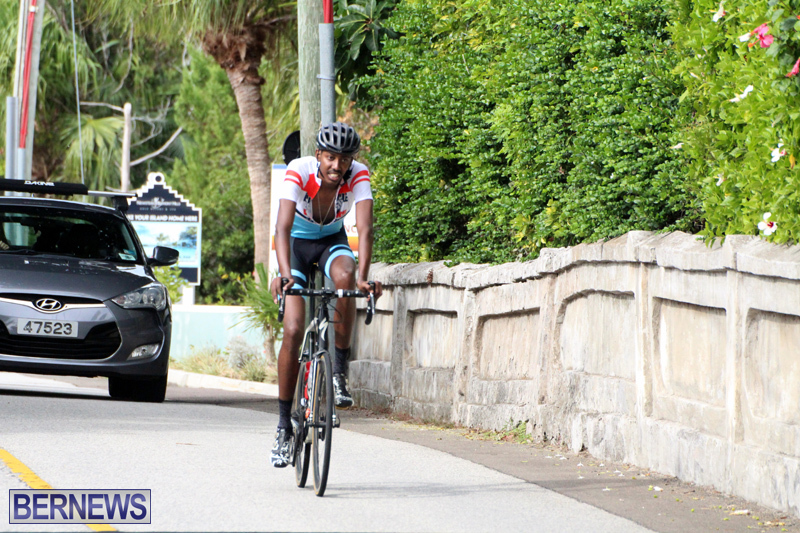 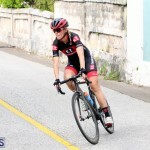 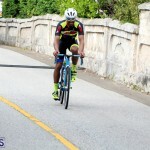 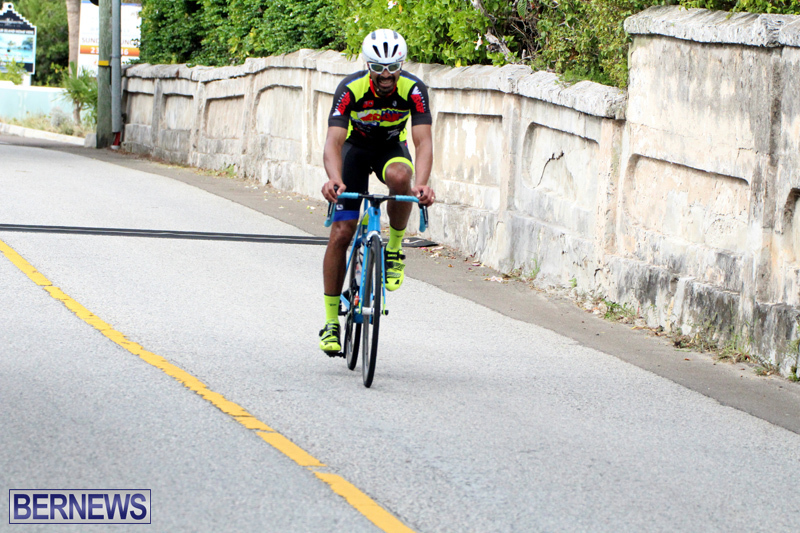 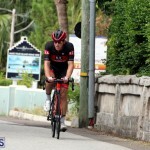 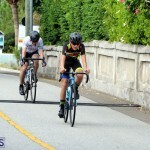 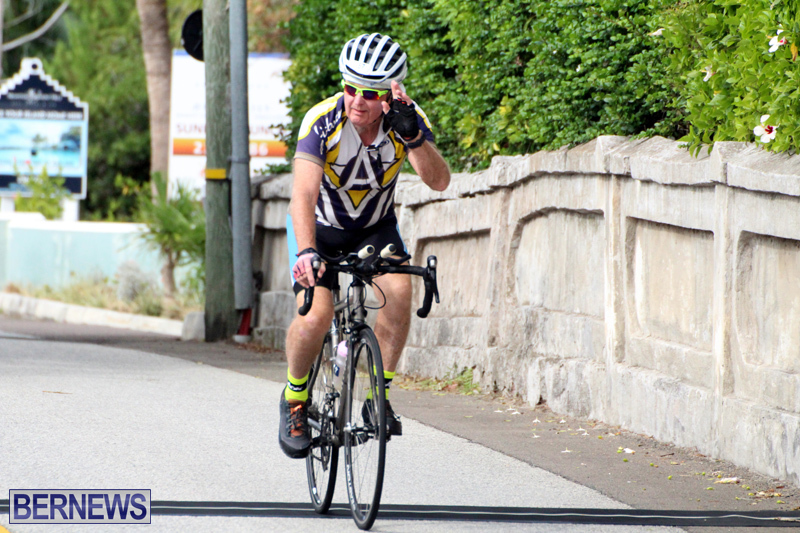 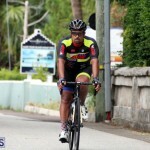 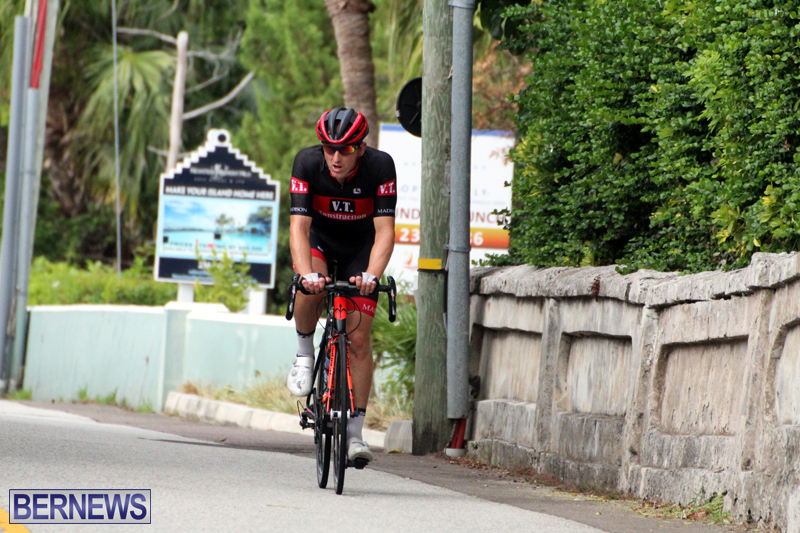 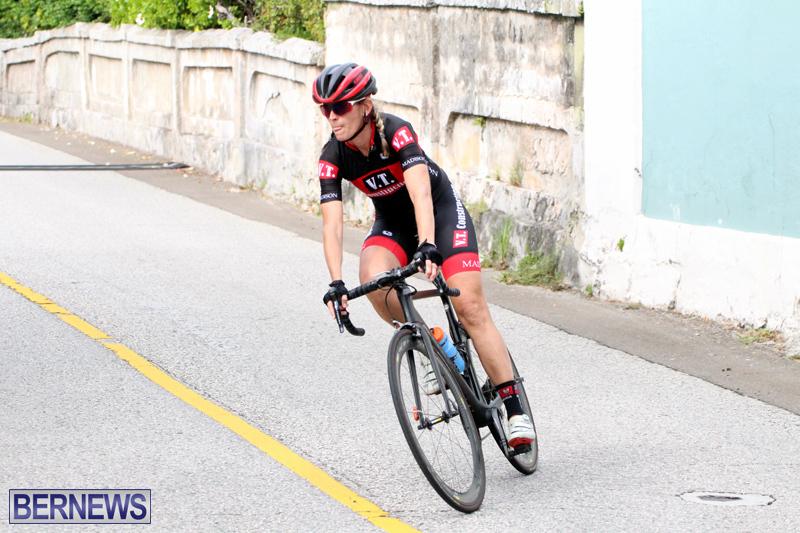 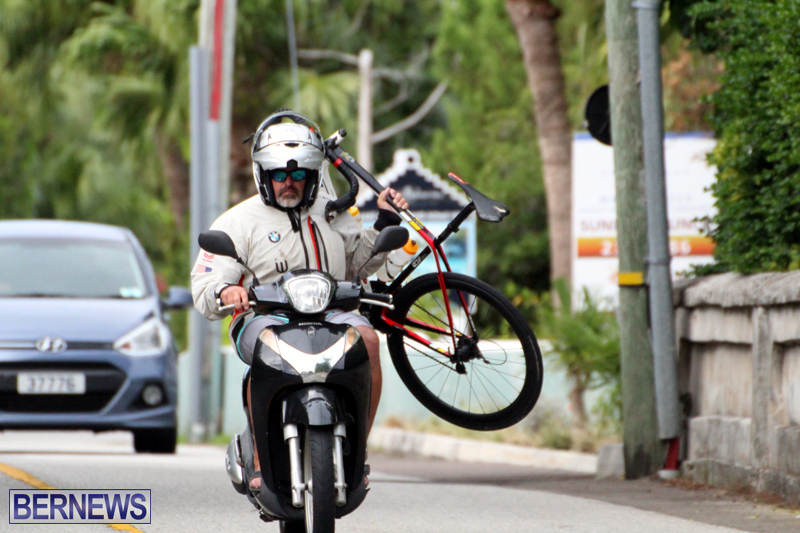 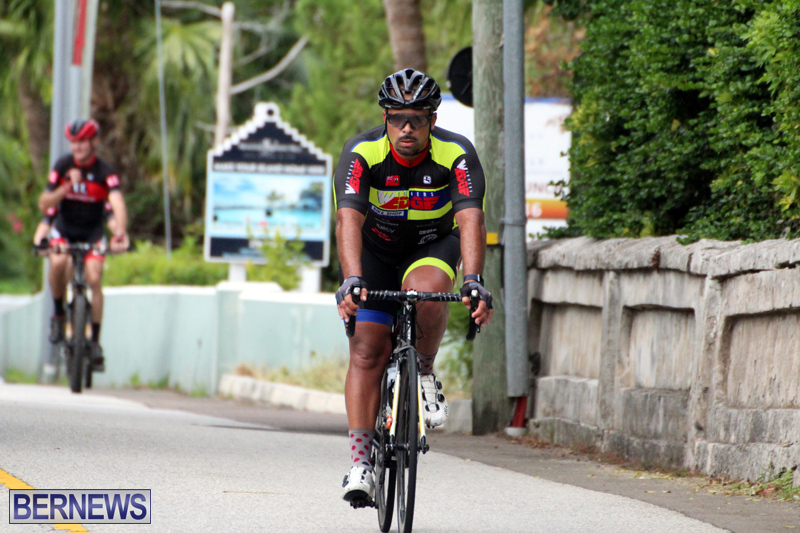 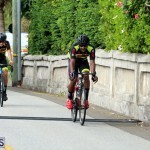 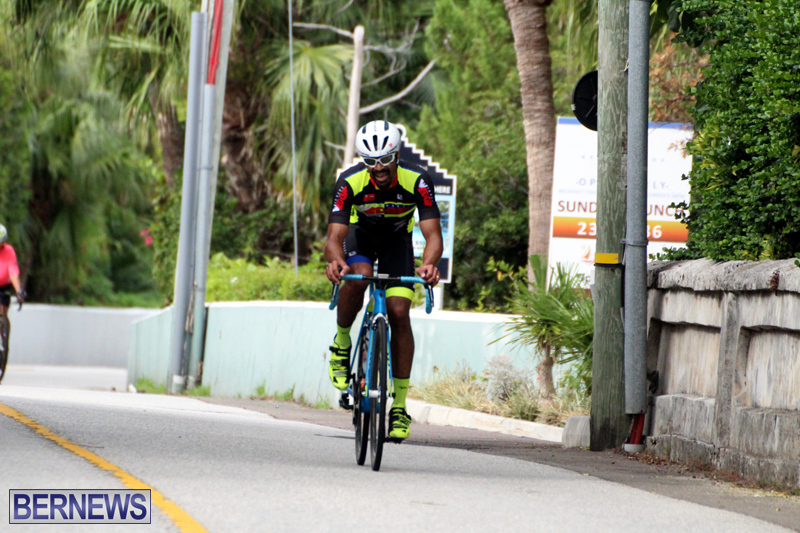 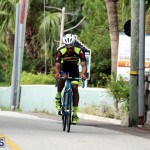 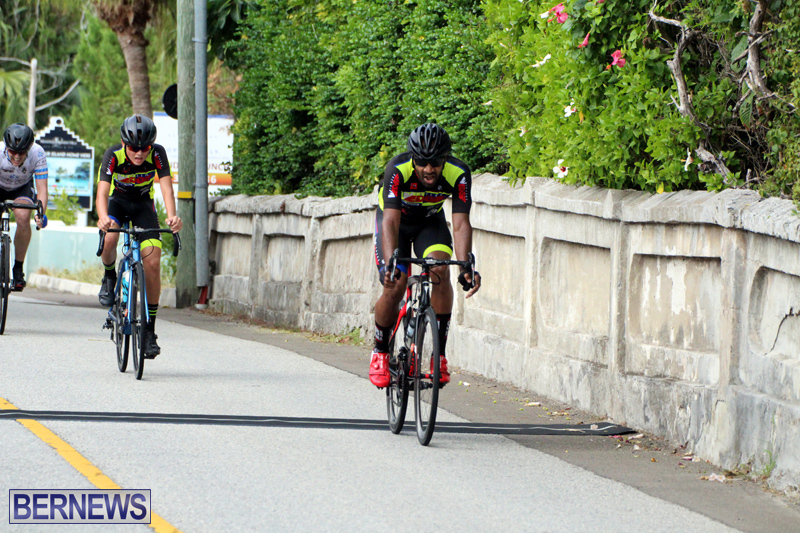 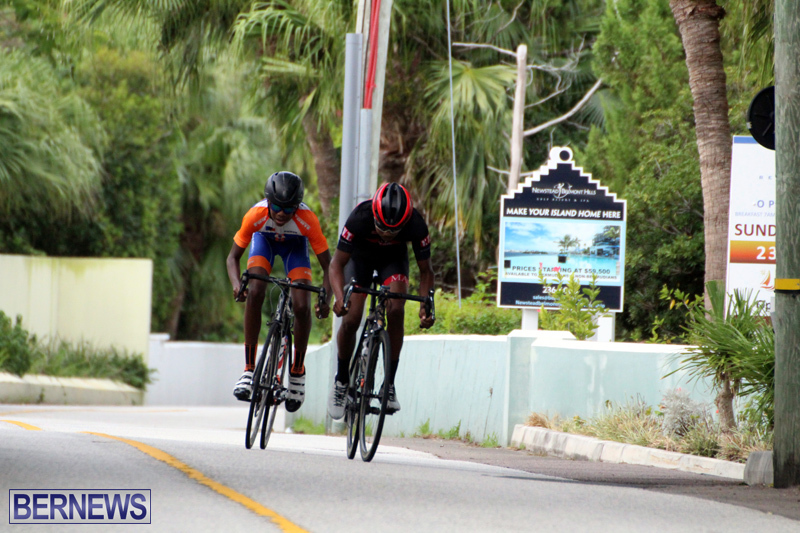 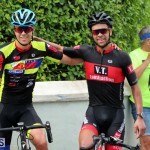 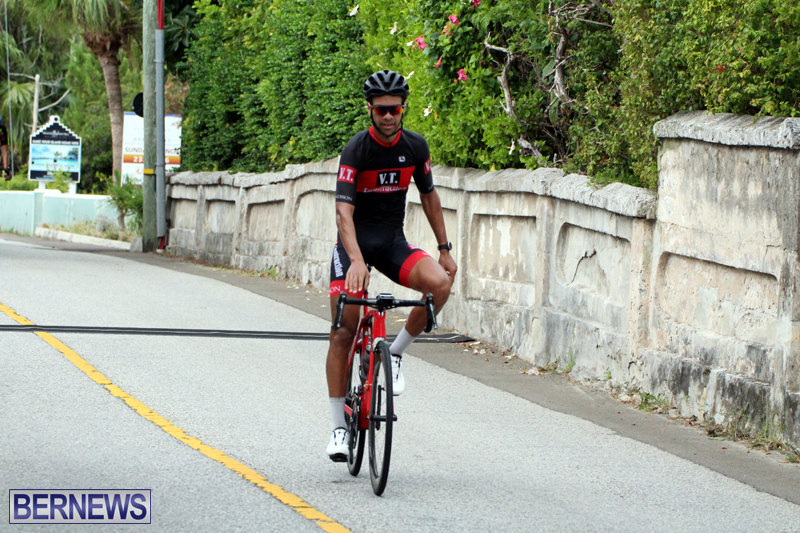 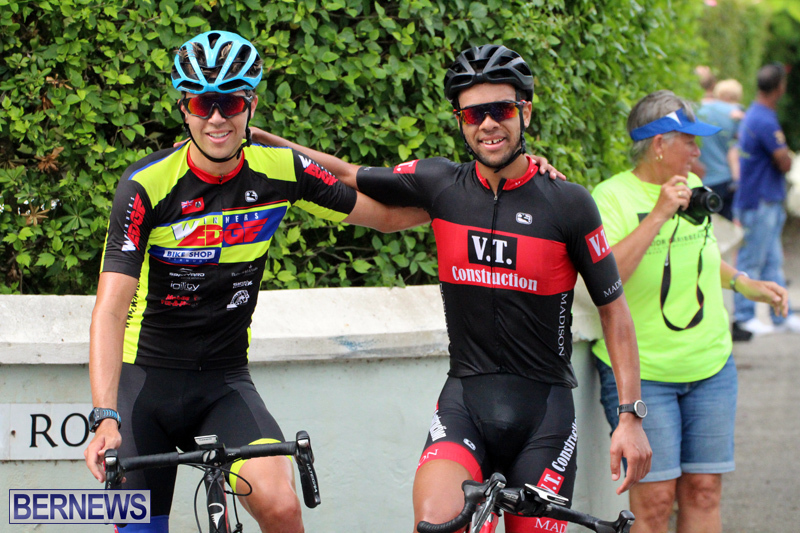 The Bermuda Bicycle Association’s Presidents Cup race saw Dominique Mayho return to the winners circle, with Conor White just behind him, while Darren Glasford, Alexander Miller and Alan Mooney rounded out the top five finishers. 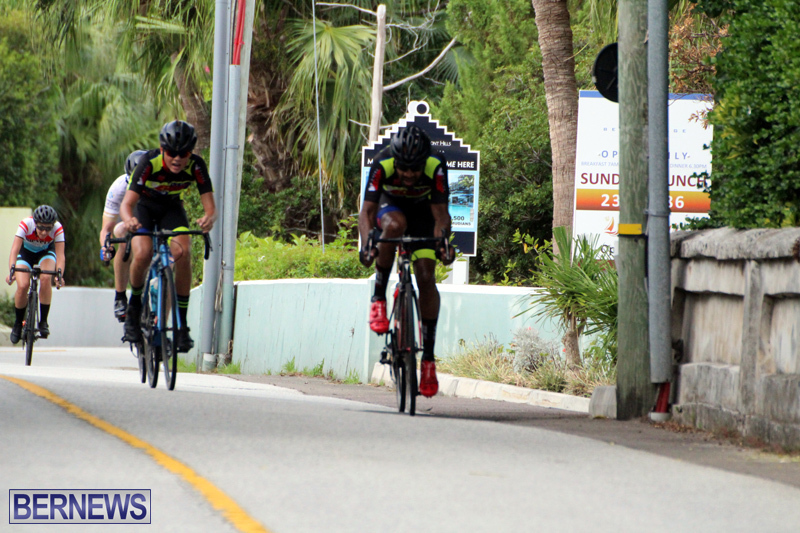 Mahyo finished in 2:33:55, White was second in 2:33:59 and Glasford was third in 2:37:01. 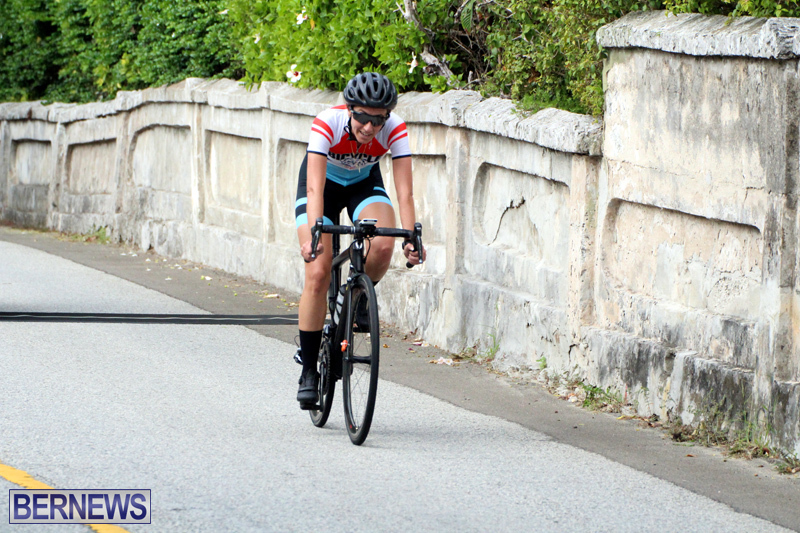 Caitlin Conyers was the first female and sixth overall stopping the clock in a time of 2:37:06, Cora Lee Starzomski finished as the second female finisher in a time of 2:42:04, and Ashley Couper clocked a time of 2:50:45 to complete the women’s podium. 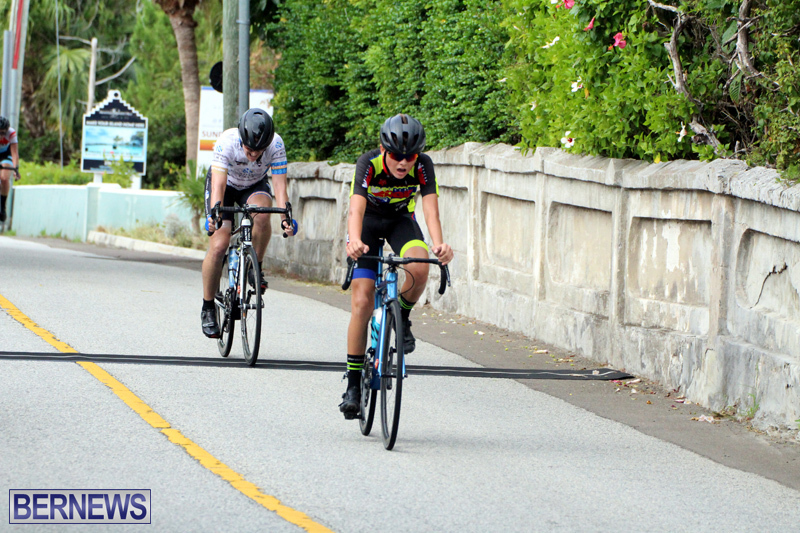 Miller was the top Junior Male with a time of 2:37:02, with Ziani Burgesson and Nazarai Fox in second and third for the category with times of 2:42:13 and 2:42:13. 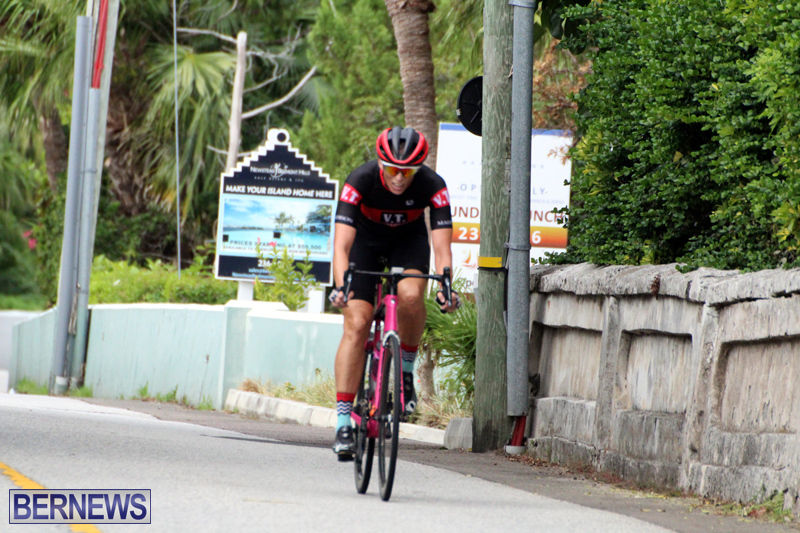 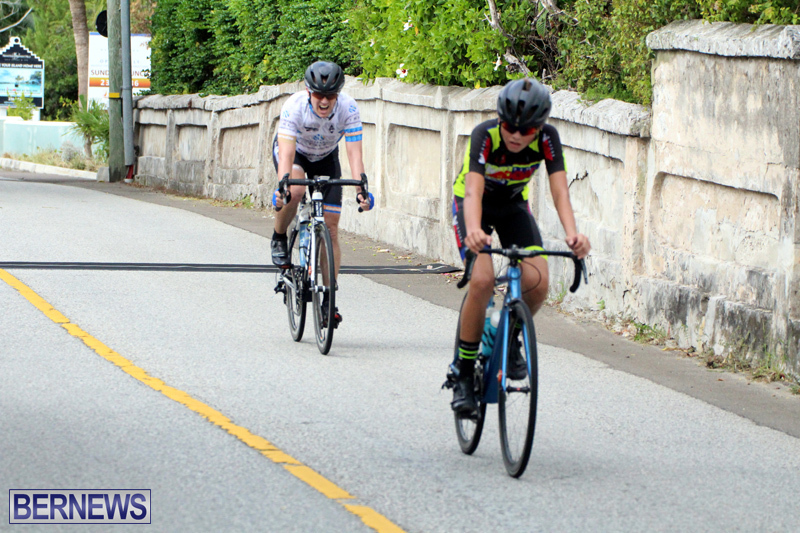 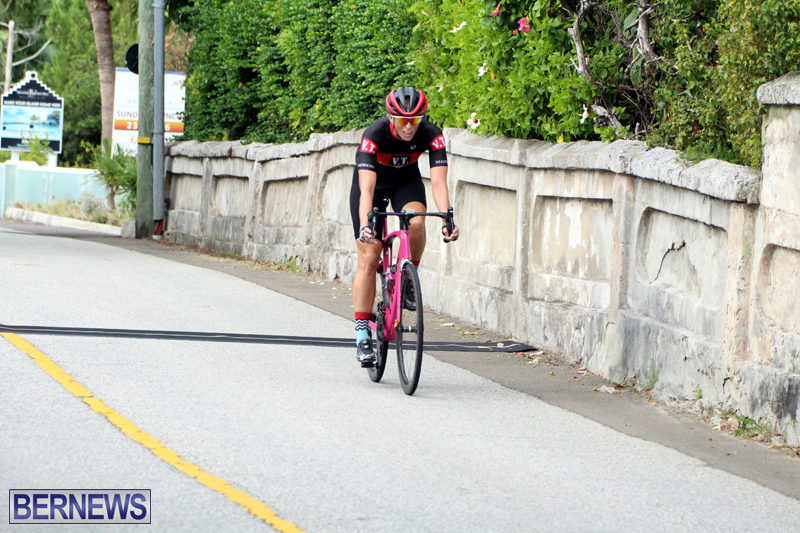 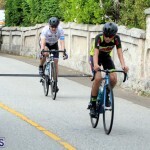 Some of the cyclists were involved in a crash near the Belmont Ferry on Harbour Road, and while one required medical treatment at the hospital, the others were able to finish, albeit in a scattered formation. 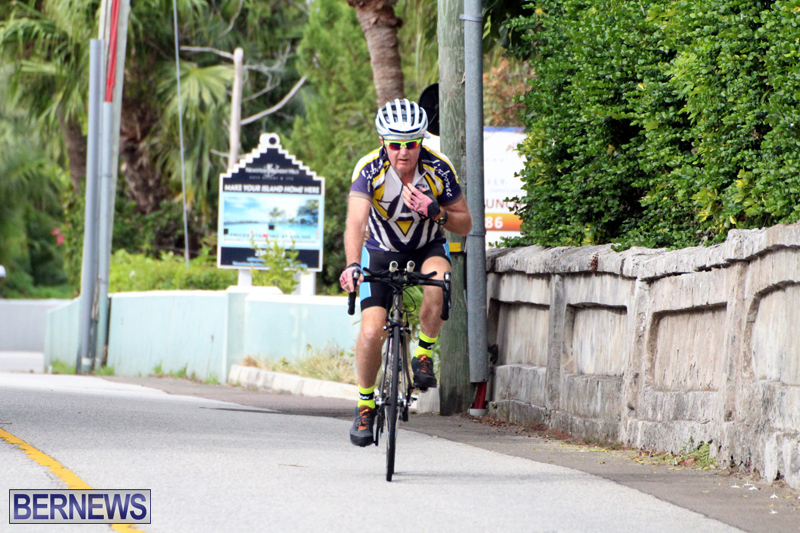 The full BBA Presidents Road Race results are here [PDF].